Did you know that Nevada law requires the at-fault driver to pay for your injuries? And we don't charge you anything. Our fees and costs are paid for by the at-fault driver's insurance company or not at all. 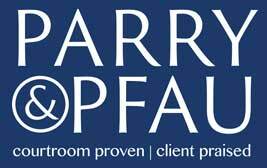 Contact the attorneys at Parry & Pfau to help you wade through these and other complex issues associated with pursuing a personal injury claim in Las Vegas or Henderson.